You can create a custom room accessory or a one-of-a-kind gift for a friend by making your own candle holder. From tiny votive displays to candle chandeliers, these handmade beauties will shine a unique and creative light in any room. You don't have to have a lot of crafting experience or special equipment to make your own candle holders. In fact, many projects use items you may already have around your home. .
Beads take on a whole new sparkle in the flickering light of a candle. 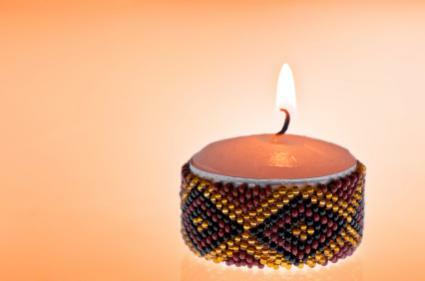 Using some simple techniques you may already know from jewelry-making, you can create a beaded candle holder. Make a glittering votive cup or a pillar display with beaded dangles. Both projects are easy and affordable, and the results are gorgeous. 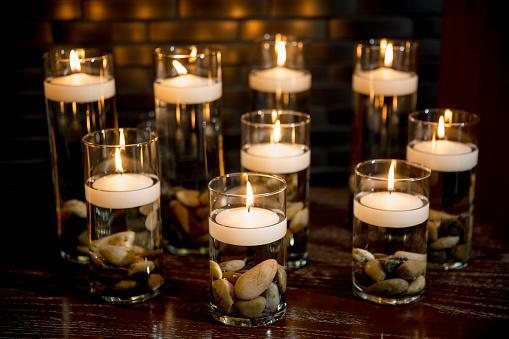 With their tiny size and soft glow, tealights make the perfect candle size to display in a sweet handmade holder. Learn how to make a tealight candle holder using old jars, tissue paper, and other readily available items. These also make fun projects to do with kids. Luminaries, or candles placed in paper bags, make a beautiful style statement for a special evening party or backyard barbeque. You can easily make a tealight holder from a paper bag using a few very simple supplies, including lunch sacks, sand, and scissors. If you're a fan of architectural salvage or the distressed shabby chic look, making a baluster candle holder is the ideal project. You can use stairway balusters, either new or antique, and some scrap wood and other supplies to create a beautiful display with old-fashioned charm. You will need a few tools for this, but you don't need to be an expert woodworker. Candles also look lovely hanging from trees, your back deck, or even inside the house. 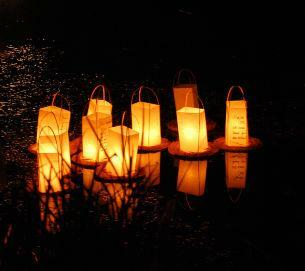 You can make a candle lantern to elevate any type of candle to a whole new level. Supplies are inexpensive and readily available, and the process is fun and easy. 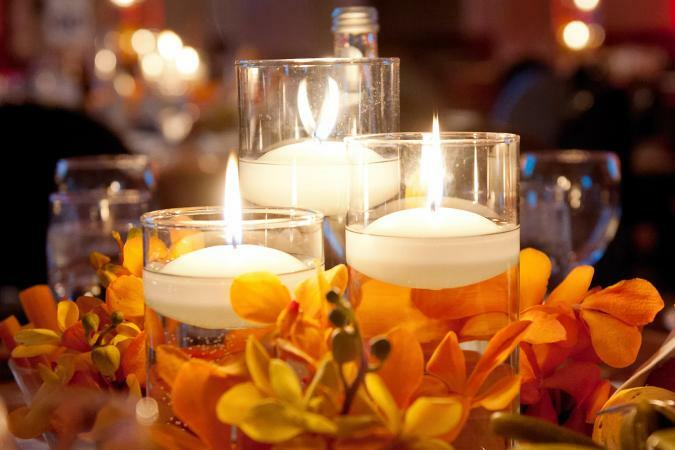 Floating candles make beautiful centerpieces for tables or decorative objects in any room. You can make your own floating candle holders using a number of items you may already have around, combining flowers and other elements to create a gorgeous arrangement. Plastic spoons aren't just for eating ice cream at your birthday party. These days, you'll find spoons in a wide array of shades, perfect for creating custom candle displays. Learn techniques for using plastic spoons to make a candle holder you can give as a gift or keep to decorate your own home. Nothing lends grace and elegance to a room like a candle chandelier. Making a candle chandelier doesn't take a lot of equipment or previous experience. From rustic wood designs to sweet bird cage shapes, you'll find lots of ideas for creating a focal point that really shines. You can purchase rings to make candle wreaths and then decorate them with flowers, twigs, and other elements to create the ultimate pillar candle display. 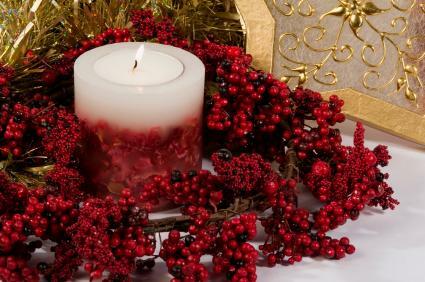 This is a great way to create a candle holder for your holiday table or another special event. Buying candle holders is fun, but making your own spectacular designs is even better. Use your imagination to create beautiful candle holders of all shapes and sizes that show off your personal sense of style and artistic abilities.